Description: Unique purple flowers produce copious nectar, which is attractive to small species of bees. Visiting bees must push their way between the petals to attain this reward. 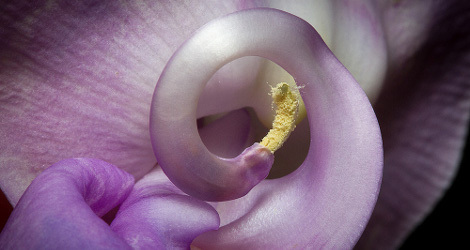 As the keel petal is pushed down, the stigma and stamens emerge from the tip of the keel enforcing the transfer of pollen between flower and insect. 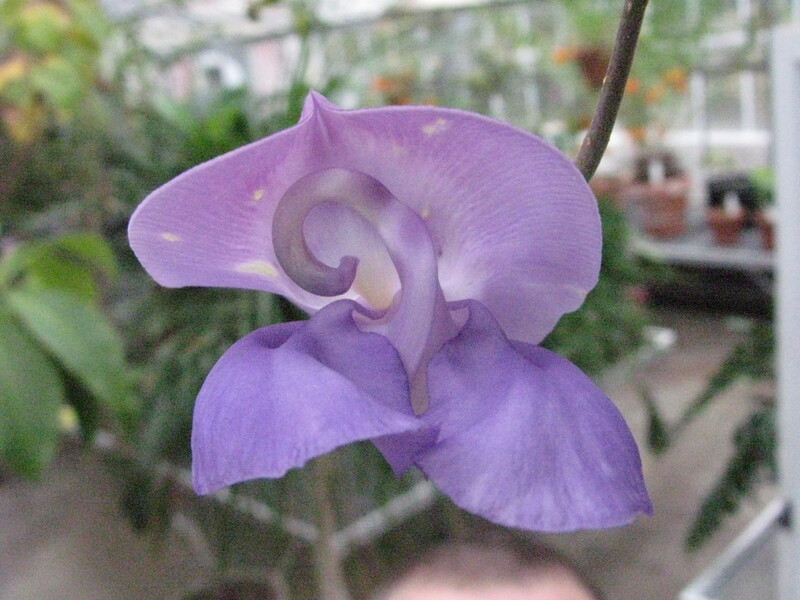 Provenance: Plant previously labelled Clitoria terneata, but determined to be an incorrect ID - not sure what it is at this point, but very interesting morphology with enclosed stamens emerging from tube when petals separated as might occur if a larger insect / small bird were to perch on petals. 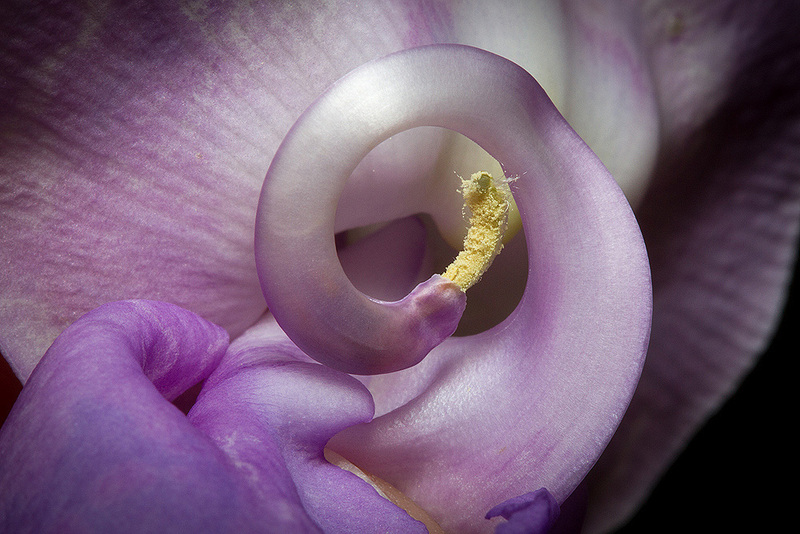 Inspection of photos by Paul Franz at NC State suggest this is definitely not a Clitoria, but a member of the Phaseolus-Macroptilium complex. For the time being we will list it as Phaseolus sp. 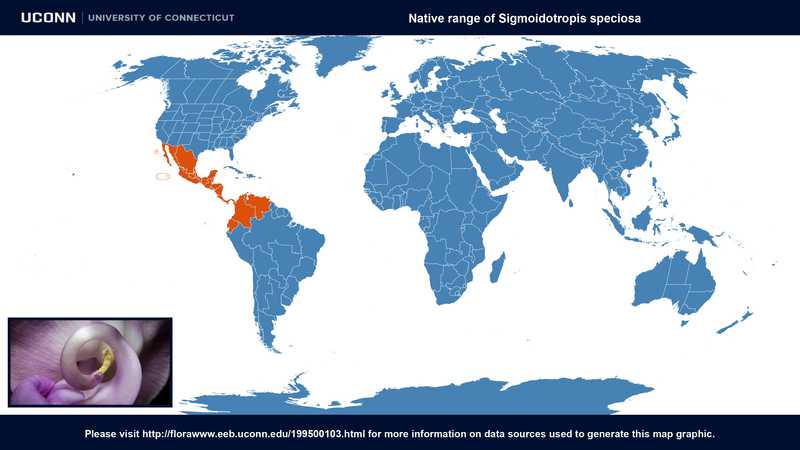 Sigmoidotropis speciosa at ARS-GRIN. Last accessed on Thursday, February 08, 2018.